Sasol and Friends of the Environment Centre received an award from the Minister of Environment, His Excellency Ahmad Bin Amer Al Humaidi, in recognition of their valuable contribution to the preservation of the State of Qatar’s environmental resources, by developing the one-of-its-kind, smartphone application, Qatar e-Nature. 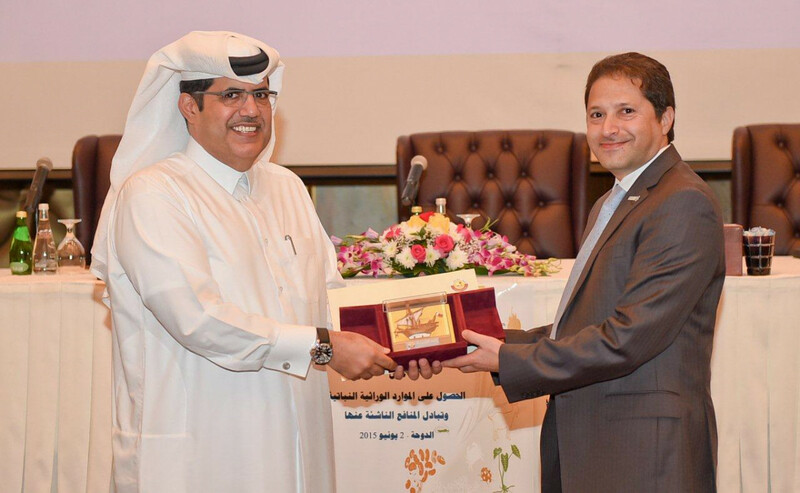 Jack Saba, General Manager of Public Affairs received the award on behalf of Sasol Qatar during a seminar which was held under the patronage of the Minister of Environment at the Sharq Village & Spa in Doha. The seminar addressed issues of maintaining plant biodiversity and the importance of setting environmental priorities for joint action and cooperation in line with the Qatar National Vision 2030 and the National Development Strategy. During the seminar, Jack led an informative session presenting Sasol’s activities in promoting environmental and educational awareness through the use of the Qatar e-Nature application by students attending independent and private schools in Qatar. “It is an honor to receive this award under the patronage of His Excellency, Minister Al Humaidi. This year, thanks to the support of the Supreme Education Council we reached all of the schools in Qatar and we had more than 15,000 participants in the annual Qatar e-Nature school contest. We hope that we can continue to inspire the youth to learn more about nature in this beautiful country, Qatar,” said Dr. Saif Al Hajari, Chairman of Friends of the Environment Centre. This is the third accolade the Qatar e-Nature has received this year, coming soon after winning two regional awards: “Best Smart Mobile Application Award” in the Arab Region as part of the Smart Government Excellence Awards, presented by HE Sheikh Mohammed Abdullah Al Mubarak Al Sabah, Kuwaiti Minister of State for Cabinet Affairs and Chairman of the Central Agency for Information Technology; and “Best Mobile Government Service Award” in the environment category in the Arab Region, presented by His Highness Sheikh Mohammed bin Rashid Al-Maktoum, UAE Vice President, Prime Minister and Ruler of Dubai. 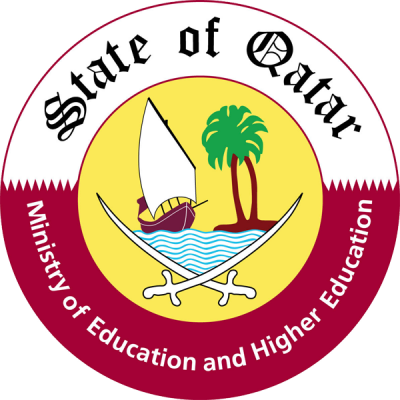 Launched in December 2013, the Qatar e-Nature application highlights plant, bird, insect, mammal and reptile life in the country. Sasol created the app as part of its corporate social responsibility programme in partnership with Friends of the Environment Centre. The app, which features content in Arabic and English, aims to support the objectives of Qatar National Vision 2030 to promote sustainable development by contributing towards an environmentally aware population. The user-friendly Qatar e-Nature app is available for download free of charge on Apple App Store, Google Play store for Android, and Windows Phone Store. A web version of the app (www.enature.qa) is also available for desktop access. Active Facebook, Twitter and Instagram channels allow users to keep tabs on the latest developments. The application is updated regularly, having added mammals and reptiles earlier this year. Future updates will include marine life to further benefit users of the application.